Welcome to the quiet neighborhood you never new existed. This non-through street of well maintained homes is a gem that is waiting for you to find it. Vaulted ceilings, spacious kitchen and a large outdoor trex deck are just some of the features that make this house so desirable. The 2 car garage, low maintenance landscaping and outdoor shed/office are some of the others. Master bedroom is spacious, gas fireplace in living room provides heat and ambiance. Good privacy in the back yard is nice since the home comes with a hot tub. 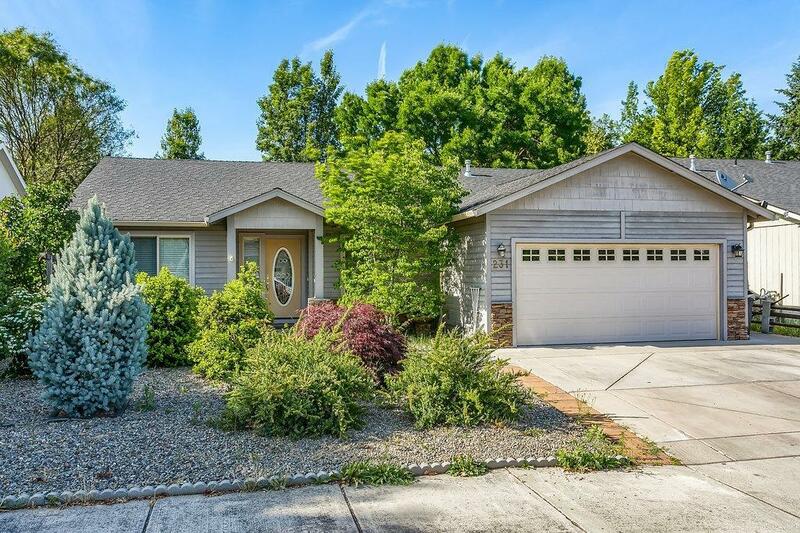 Great location is close to I-5 freeway exit for easy commuting to Ashland, Medford...or where ever you want I-5 to take you. Directions: I-5 Phoenix exit. West to Hwy 99. North just a couple of blocks to Oak Crest on the right. Across the street from Harley Dealership.